This is the first book-length study of the political and theological views of Thomas White (alias Blacklo) and his followers the Blackloists. It both complements and opens up new lines of inquiry in the context of the current scholarship in two main areas. On the one hand, historians of early modern England are paying a tremendous amount of attention to the English Catholic Church, stressing the importance of the Catholic perspective in order to get a more accurate picture of England's religious and political history. This study responds to these suggestions by analyzing a group of English Catholics greatly influential in a complex period of the history of England. On the other hand and more generally, the volume explores the question of the intersection between politics and religion during the 1640s and 1650s in a historiographical context in which the manifold and complex link between the language of natural law and the language of theology in the history of English Republicanism is currently being taken into a greater account by a number of scholars. In this context, White's political theory can be used as an extremely interesting case-study to show how natural law bridged the complexity of the relationship between theological and secular arguments put forward in the debate around issues such as the nature and limit of government and the relationship between subjects and governors. As well as providing a detailed study of White and his views, this book also provides a modern edition of the full text of his most important political treatise The Grounds of Obedience and Government, a distinctly Catholic version of contractualism, that appeared to offer succour to a militantly Protestant republican regime. Contents: Introduction; Thomas White and the beginnings of the Blackloist group; The Blackloists' natural philosophy and theology; The Blackloists' politics; The Grounds of Obedience and Government; The Blackloists and the Lord Protector; 'To little purpose': the end of the Blackloist group; Conclusion: an assessment of the Blackloist experience; Appendix; Selected bibliography; Index. 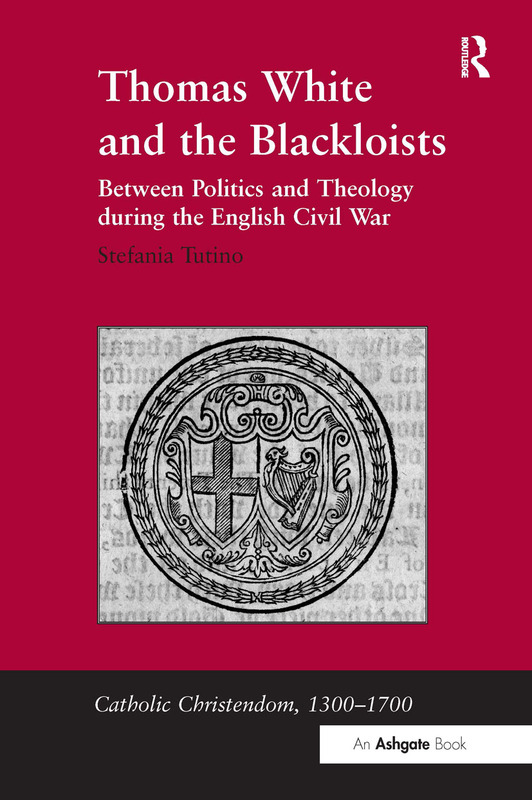 Professor Stefania Tutino is based in the Department of History at the University of California at Santa Barbara, USA.